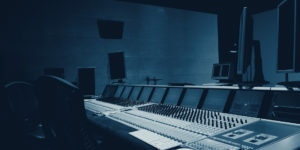 Recording studios must have the right acoustics for recording and reproducing sound. Variable acoustics is often desired. In mixing studios dry acoustics have to be realized without hindrance of unwanted reflections. Besides that, the sound insulation has to meet the highest standards. Meanwhile, noise from HVAC has to be controlled to a minimum.